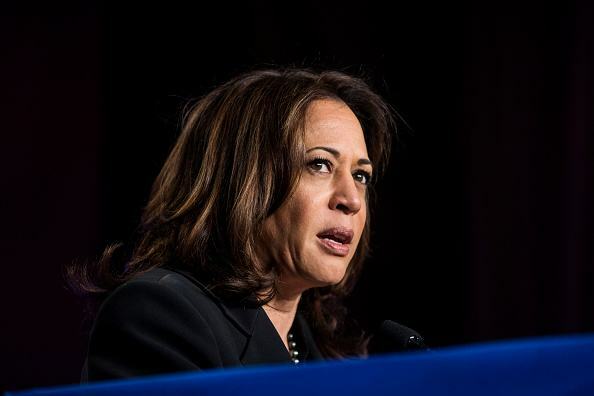 Kamala Harris just released her tax returns and revealed she is not only in the 1 percent but is in the 1/10th of 1 percent in income—even in her native California where she and her husband earned just shy of $2 Million dollars in 2018. Her $700,000 in Federal taxes is more money than millions of her constituents will actually earn in their entire lifetime. California is home to fully 35% of all Americans living in poverty. A family of four earning about $25,000 a year is considered to be in poverty in America. At that rate a family living at the poverty rate could live there for 28 years just on her tax bill. And they would be there an incredible 76 years on her $1.9 Million in earnings—just for last year. Harris is not unique in her powerful earnings ability. Bernie Sanders, the leader of the Socialist movement in America is a multi-millionaire with 3 homes including an incredible million-dollar lake house in Northern Vermont. What is very telling is Sander’s refusal to apologize for being wealthy. “I wrote a best-selling book” he remarked recently. So, Sanders actually acknowledges that people with talent and the ability to do great things (if you think writing a best-seller qualifies) should be compensated at rates that propel them to incredible wealth and prosperity. Take a look at some of the others in the field hoping to be President and you quickly realize the Democrats that are leading the call to drill you with new taxes at rates far above anything you have ever seen— are themselves already very well off with the gravy train still rolling. Beto O’ Rourke who tries to exude the “every man” simplicity and “I understand your pain” narrative was worth an estimated $9 Million dollars five years ago. His wife is worth considerably more. Beto’s father-in-law, a real-estate tycoon, is believed to be a billionaire. I wonder what he thinks about the death tax for real. The entire Democrat platform is ‘Fear and Free Stuff’. The goal is to create as fear over Global Warming/Climate Change or guns or President Trump or whatever is useful to scare voters and then make great promises of giving you your neighbors money. Yes, this will the ultimate game of envy. Whatever your neighbor has they will take away and give to you—unless of course you are an evil one percenter like they are. If that’s the case, they will be knocking on your door. Don’t kid yourself. These rules that apply to you in the Rust Belt and the rest of Forgotten America will certainly not apply to them—they will make sure their powerful friends are protected from this re-distribution of wealth. You see they are interested in re-distributing yours—not theirs.